Portal 2 First Impressions: Is the Cake Still a Lie? Featuring a mix of incredibly hilarious dialogue and innovative, mind-bending gameplay mechanics, the original Portal was a stand-out portion of The Orange Box. Though it was an extremely memorable title, its brevity ultimately hurt the experience. 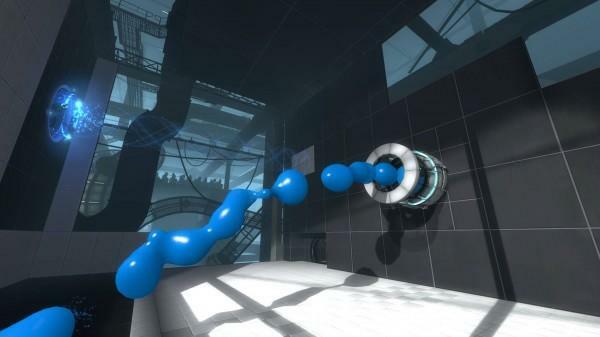 With Portal 2, Valve Software is attempting to recreate the uniqueness of its predecessor while maintaining a similar identity. Will Portal 2 be able to accomplish these tasks? Taking place in Aperture Science’s eerie, deteriorating laboratory complex, players are once again thrust into the shoes of Chell, maneuvering her through a number of test chambers that require advanced problem solving and strategic planning. Utilizing a tool known as the Portal Device, one must link two portals on two surfaces across space to defy the laws of physics. The functionality of the tool has not changed between the games, but in Portal 2’s innumerable variables keep the gameplay fresh and new. Opening in a room akin to that of a typical motel, hilarity is immediately prevalent through the robotic voice that guides Chell through rehabilitation exercises before again forcing her to sleep. When she next gains consciousness, the room’s decor has succumbed to mother nature as vines and weeds are hang from the furniture. Wheatley, a personality cube voiced by the incredibly talented Stephen Merchant, locates Chell’s room amongst the hundreds of shipping containers in a warehouse, and in a last-ditch effort moves the container to help her escape. Rather than drawing from expansive cinematic sequences, the story is mainly told through the running commentary of GLaDOS and Wheatley. Beyond that, there are countless twist-and-turns that keep the story entertaining throughout. As the plot unfolds, Aperture is rebuilt from the ground up, introducing new gameplay mechanics with each test chamber. Each is a strategic puzzle, yet it is not extremely difficult to navigate with a plethora of tutorials that ease you into the mindset. Essentially, the point of the game is to enter test chambers and make it to the finish without falling into neurotoxic waste or being bombarded with bullets. Eventually, new variables are added to the puzzles, the most memorable being the propulsion and repulsion gels. Coating the floors of some test chambers, these gels will either cause one to defy gravity with incredible jumps or zip forward at terminal velocity. They introduce a new and colorful component to the title, a welcome adjustment to an already great atmosphere. 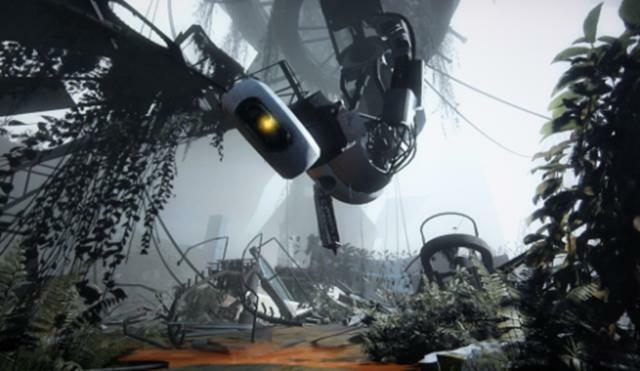 While we would rather not spoil our complete opinion right now, initial reviews have indicated that Portal 2 might very well be one of the best games this year. From my experiences playing the title, I would say that the majority of these claims are completely true. Portal 2 delivers an experience that differentiates itself from its predecessor and every other game on the market. To reference one of the running jokes from the original Portal, the cake is no lie this time, meaning that the reward and experience that will come at the game’s conclusion are worth all of your effort. There are so many topics that cannot be covered in this context, including the cooperative campaign, atmosphere, sound, and character development. Be sure to check back later this week for our full review to learn about Portal 2’s every detail. What do you, early adopters, believe? Is Portal 2 living up to your expectations? Is there anything that you would change? Sound off in the comments below.